The catwalks have been littered with feminine skirts and, after a long winter dressed in a uniform of denim and dark colours, I am so ready! Unable to resist the lure of these beautiful styles, I decided to make the most of my ASOS Premier membership and go girly safe in the knowledge that all of my buys would be with me the very next day! My waist is not as ready for these lovely skirts and my pins are a bit too pale to post any pictures of my own (trust me, I'm doing you a favour) so are from ASOS or Accessorize! 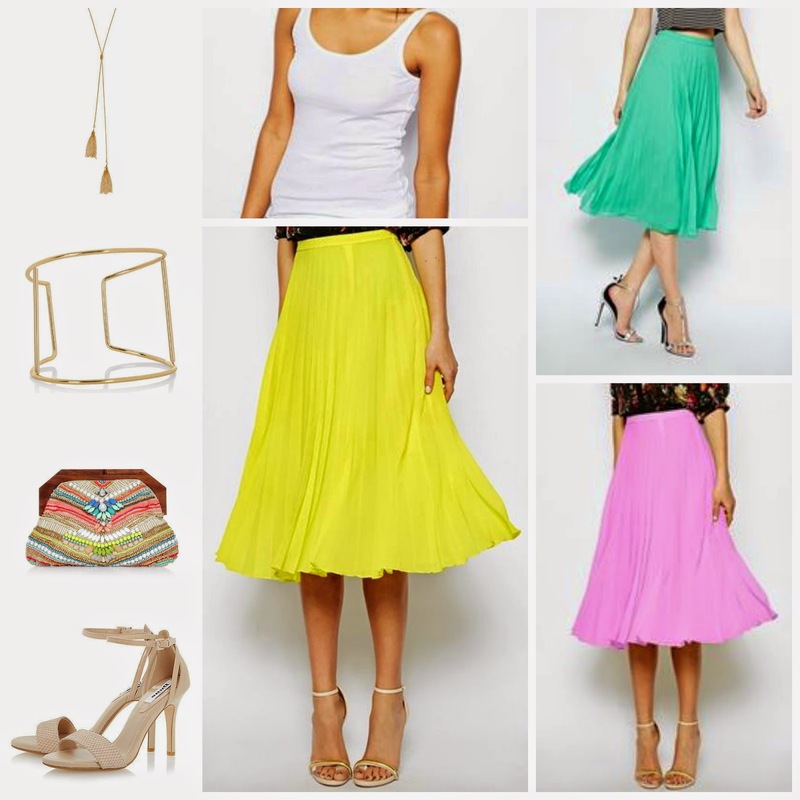 Shop the look (from left): tassel necklace; white vest; mint pleated midi; gold cuff; yellow pleated midi; beaded clutch; pink pleated midi; suede heels. Shop the look (from left): blouse; blush leather; green necklace; clutch; gold necklace; green ring; gold cuff; heels. Shop the look (from left): green bracelet; satin skirt; clutch; white vest; gem bracelet; earrings; heart ring; green ring; gold bracket; heels. Now, to ordered some of the lust-worthy jewellery from Accessorize!